The origins of Tarot cards are still somewhat shrouded in mystery. It’s generally believed that they evolved in medieval Europe as a form of entertainment, and came to be used as an occult divination tool. But can the ancient archetypes of Tarot be harnessed to reimagine the world we’re in now? 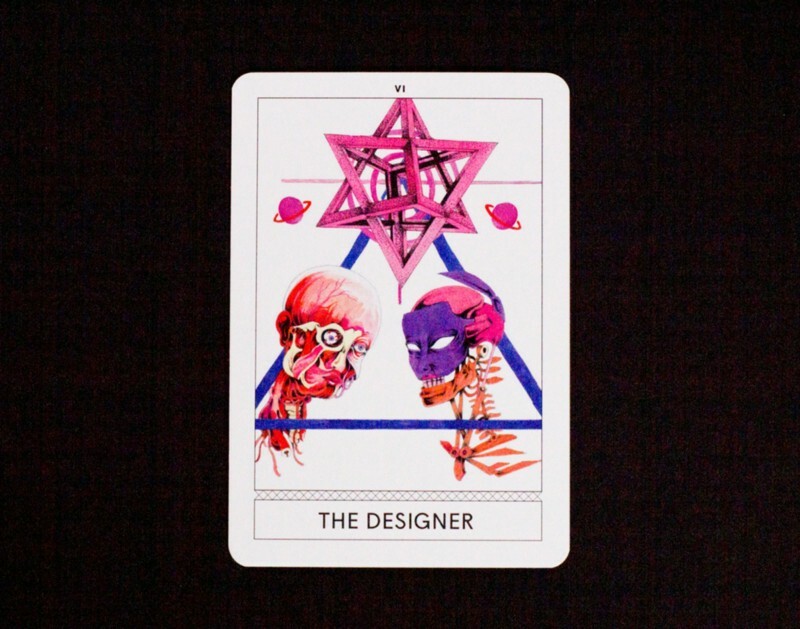 London-based futures design studio Superflux has created a Tarot deck based on the traditional archetypes of the major arcana — but with a 21st-century twist. TED Fellow and Superflux cofounder Anab Jain takes us through a few of her favorite Instant Archetypes — which has already almost sold out its print run—and tells us why we need an analog tool to think about the digital age. Why do we need a Tarot deck for the “new normal” of the 21st century? 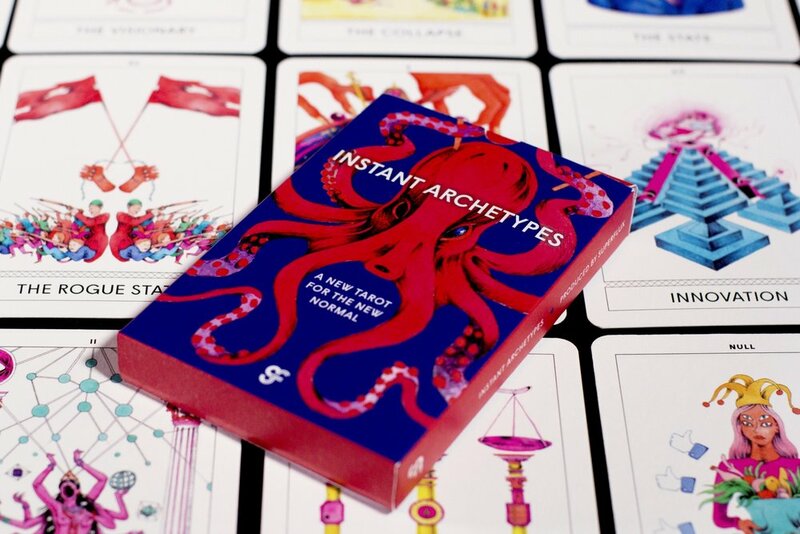 Instant Archetypes is a deck for anyone looking to navigate the complexities of today and tomorrow’s tech-saturated reality. 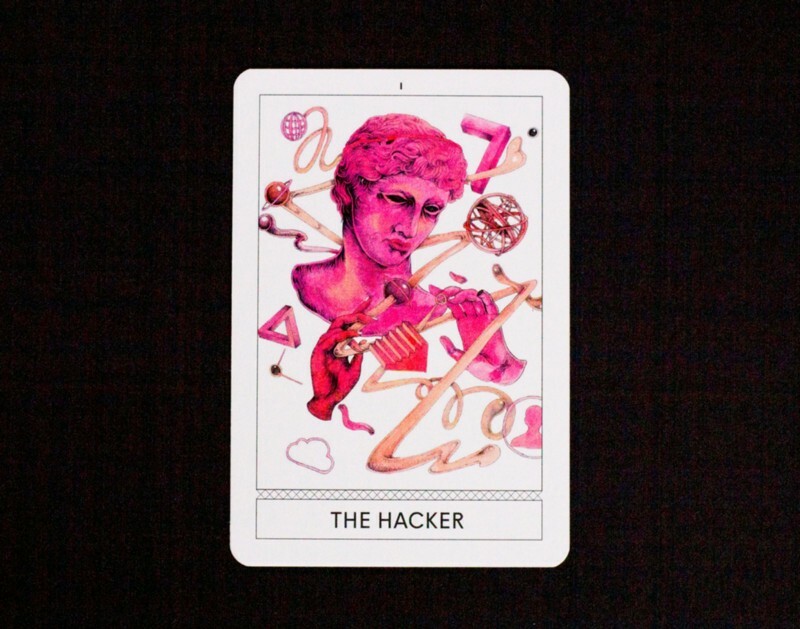 It’s based on the traditional Tarot’s 22 figures in the major arcana, but reimagined for the 21st century. The Lovers become The Designer, the Chariot with the Drone, the King with the State and so on. Who’s this deck made for, and how would someone go about using it? 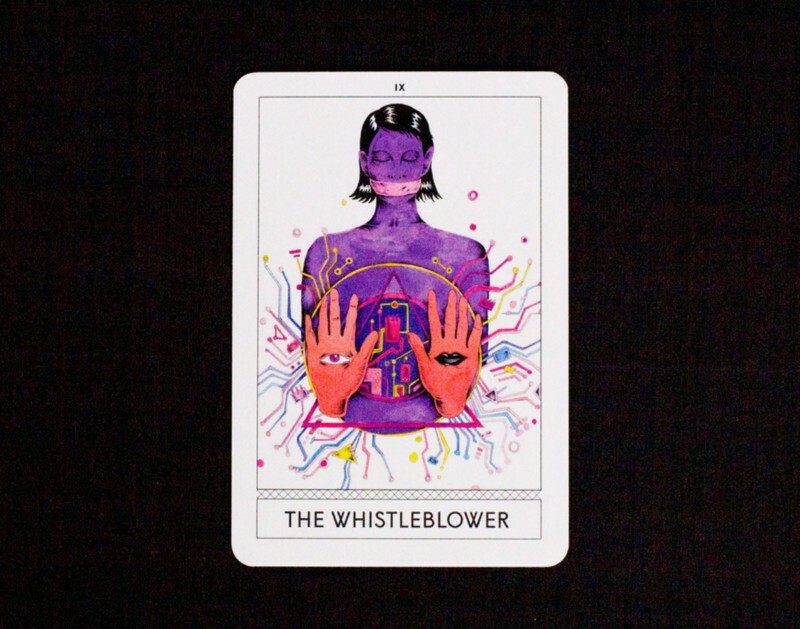 We designed the deck to be used by anybody interested in understanding what the heck is going on in our world today, where everything about what we thought to be truth and reality is being challenged. It’s a great tool for designers, technologists and researchers, as well as artists and students — basically anyone who’s juggling a problem or question. As a business tool, it can be used while working with a client to jog new ways of thinking about things. At the simplest level, Tarot works just by pulling out cards, looking at them and rethinking problems or questions through the lens of the symbols and narratives they offer. There are lots of methods of pulling, placing and reading cards — you can do a reading with just a single card, or three, or eight. We offer ideas for how to do readings in an instructional foldout that comes with the deck. 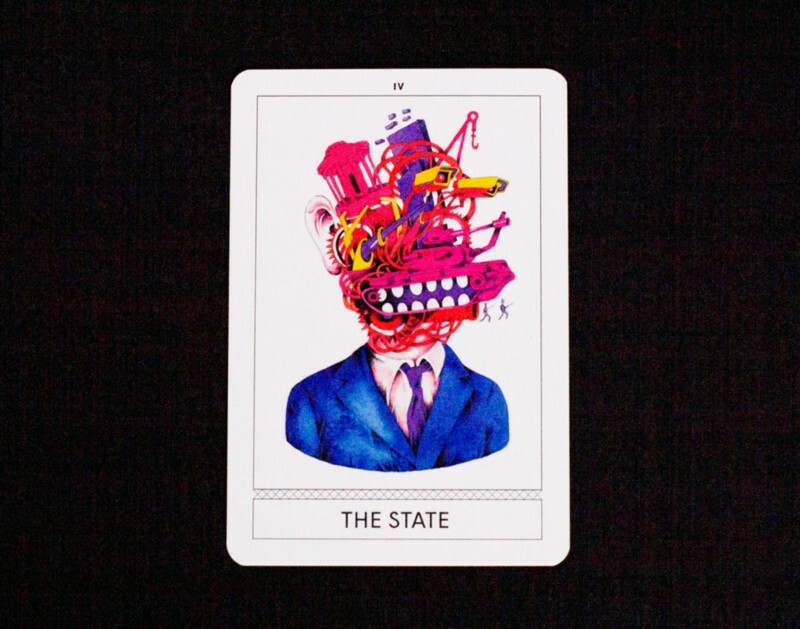 What drove Superflux to devise this deck? As a futures design studio, we work with organisations to prototype different possible futures, to make better decisions today. We felt a Tarot deck could be one helpful tool among numerous methods and toolkits we use. Also, quite often our projects are based on a specific brief: we create big, experiential installations, such as Mitigation of Shock, an installation envisioning what it might be like to live in London in 2025, while the world is in the throes of climate change. (Read “An unsettling peek into the reality of life in 2050” in the TED Ideas blog.) In contrast to projects like this, we wanted to see if we could create something smaller, more tangible and accessible to bigger audiences. Did you closely follow the traditional meanings of the major arcana as a jumping-off point? We started off following the traditional meanings closely, then we became very interested in understanding how those archetypes could be reinterpreted and took off in other directions. It ended up being very much about the current capitalist, technological society that we live in, representing our current world. Were there any particular decks that inspired you? We steered clear of looking at too many Tarot decks, as there are so many! Instead, we always had a couple of really traditional, old-school decks with us — such as the Rider-Waite — that we would refer to occasionally. Having said that, we also wanted to avoid being too closely associated with a traditional deck so that our deck could be accessible to people who have no idea what Tarot is. Everyone should feel like there’s something for them. People have weird feelings about Tarot cards, magic and so on. What attitude does the deck take to such things? I myself have weird feelings! I think the thing to bear in mind is that Tarot is not actually about predicting the future, but about the opening of possibility. So you can’t ask, “Will I be successful in this project?” and get a yes or no answer from a reading. Tarot is also not instructive, saying “Do this, then this.” It’s never as straightforward as that. Regardless of how one feels about occult magic, it’s useful to view divination traditions such as tarot and the Chinese I Ching as tools for considering problems from new perspectives. It’s open and allows for imagination, interpretation — all those things that we think are necessary for people to think about the future, to remain open to otherwise unimagined possibilities.